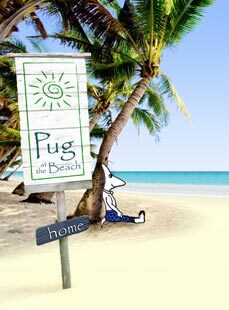 Pug at the Beach ~ Hope, inspiration and fun from an island dog philosopher. Help make Pug a #1 BESTSELLING BOOK. 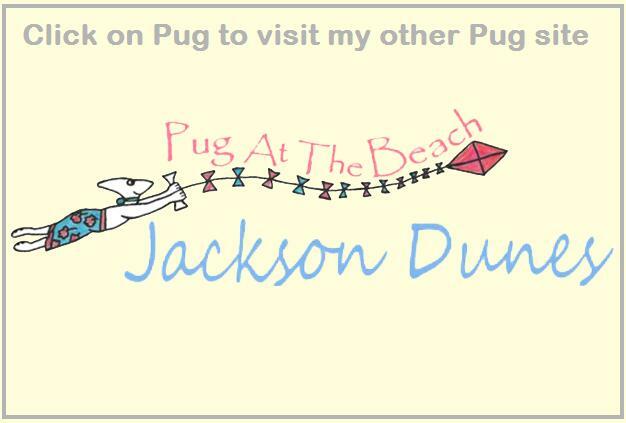 Pug At The Beach ~ part Dalai Lama, part Jimmy Buffett, and a whole lotta fun! Products to center the mind, heart, and soul. Your path to joy starts with Pug At The Beach. These are just a few of the places Pug has been. For more click here. Ten questions were posed to Diana including everything from her favorite music to her career highlights and there's even a question about who Diana would like to have portray her in the Hollywood movie about her life. Steve Gamlin interviews Diana for Inspired by Steve. "We can learn so much from dogs, even cartoon ones. Today’s very special guest Diana Taylor is the author of “Pug at the Beach”. Find out what Pug loves, and what he and Diana can teach you about life." Some people say Pug At The Beach is where the Dalai Lama and Jimmy Buffett have lunch. We say this book is sure to delight. Wherever you are in body, mind, or spirit, enjoy your own personal beach adventure and learn about life while walking the beach everyday with Pug. His journey along the ocean's edge will encourage you to embrace and chase your own dreams. 67 pages of awesome fun topped with a healthy dose of thought provoking Zen-like wisdom. First edition. This version will not be run again. Buy through Amazon or Barnes & Noble. For a personally autographed copy, click here. Is there anything more relaxing than feasting your eyes on the turquoise blue waters of a Caribbean ocean? Maybe a white beach sprinkled with sea shells? Or a tropical drink complete with paper umbrella? Well, we can help you out with the first two. 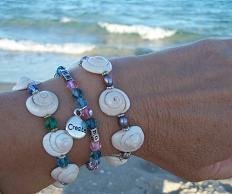 Our Caribbean and Tahitiaan Delight Bracelets are sure to transport you to tropical shores. Enjoy your own personal beach adventure every time you slip them on. Sold through Etsy because we support Handmade. More Pug, more fun. What's not to love? Wherever you are in body, mind, or spirit, enjoy your own personal beach adventure and learn about life while walking the beach everyday with Pug. His journey along the ocean's edge will encourage you to embrace and chase your own dreams. For hope, inspiration and fun, join Pug in his worldwide adventure and learn how to make your dreams come true. Start with the book and then visit our blog for your commercial free trip to the beach. Your path to joy starts right here with Pug At The Beach. It's a book, it's a company, it's a lifestyle. It's a refreshing way to look at life. Pug is a dog, an island dog, who has a dorsal fin for an ear and a really nice collection of surfing shorts. That's him up there on your left sitting under that palm tree. He's smart. He's funny. He's part Zen, part island hopping playful pup ~ he's Jimmy Buffett meets the Dalai Lama. He's the guru of choice for people who believe spirituality and play are not mutually exclusive. 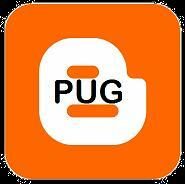 Want to know more about Pug? Click here. Embrace the adventure of life, play with a passion, learn as much as you can, and find joy in everything you do. That's Pug's advice.